Hello Everyone,Happy Monday! I hope you all had a great weekend. 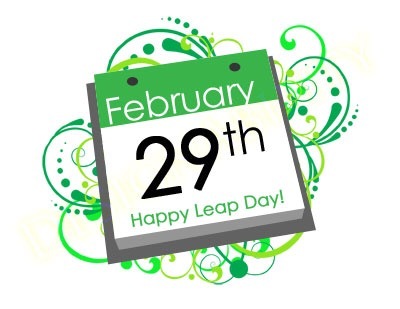 Today is a very special day, it’s leap day! A day that only comes once every four years. Typically, its a day just like any other you go to work or school and it’s just an extra day in February! But for some people it’s a special day! One of my friends was born on leap day and he only gets to celebrate his birthday on the actual day every four years! A special person for a special day!!! So even if this is just another day in February to you…. try to make it special!!! Just remember you won’t see if again until 2020!!! Enjoy your leap day!!!! BTW… look at google that is so cute!